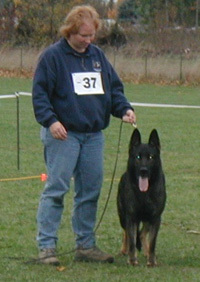 who were Fully Registered through AKC. when you purchase your pup. who are AKC Registered with Limited Registration Status. for the health and safety of your dog. Each year there are far too many unwanted animals produced through accidental matings. Mammary Glands and Breast Tissue) in their middle and later years, if they are left intact. health and longevity of your female. is more beneficial and is most often best done at 12-13 months of age or later. This will vary with each dog. There are many compelling reasons to wait until at least a year of age to spay your female..
for proper development in these large growing breeds; Read More HERE..
Full Registration will be necessary. who were also registered with Full Registration through AKC. produced from two parents who are AKC Registered with Full Registration Status. as well as many additional working and AKC categories. These animals cannot be shown or breed surveyed.